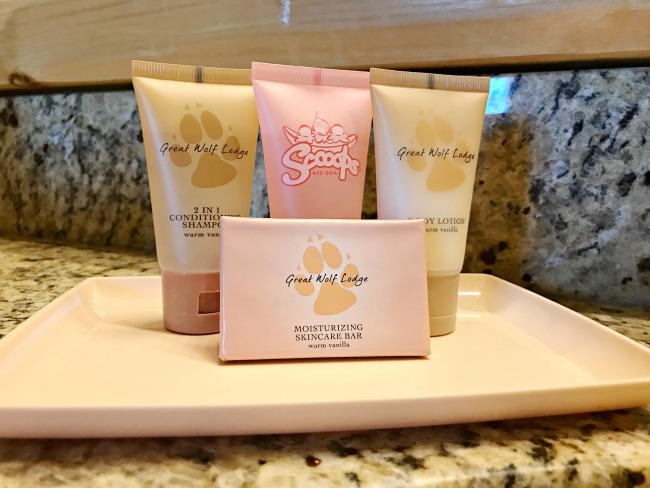 A resort is nothing without great accommodations. 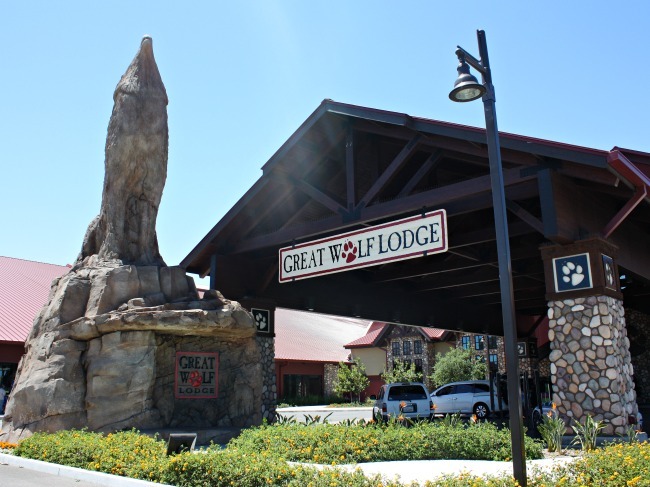 At Great Wolf Lodge they offer standard rooms, themed, and premium suites. 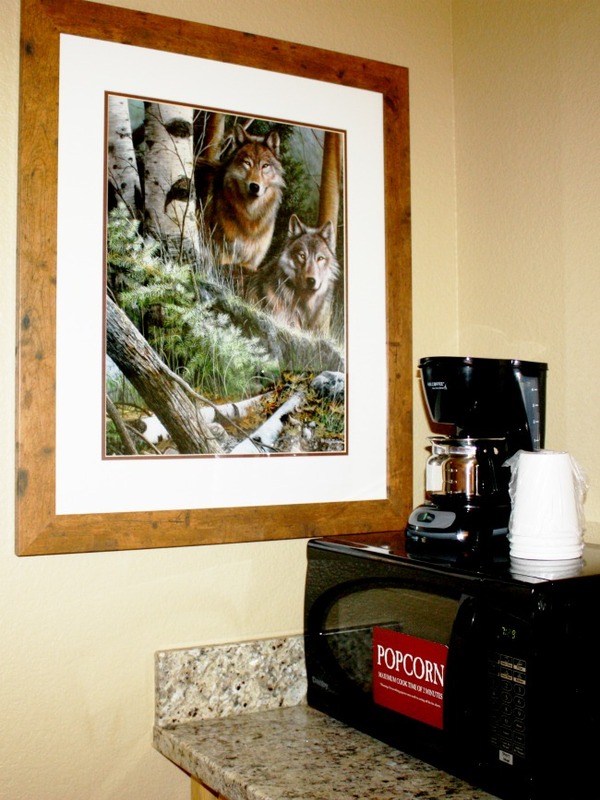 The Wolf Den Suites are perfect for families of smaller kids. They include a cabin themed den with bunk beds. The honorary wolves will have a howling good time in their special space. We stayed in a Grand Bear Suite which has two adjoining rooms. It is perfect for big families and gives parents some privacy. All rooms include microwave, small fridge and coffee maker. Great way to save money on food too! 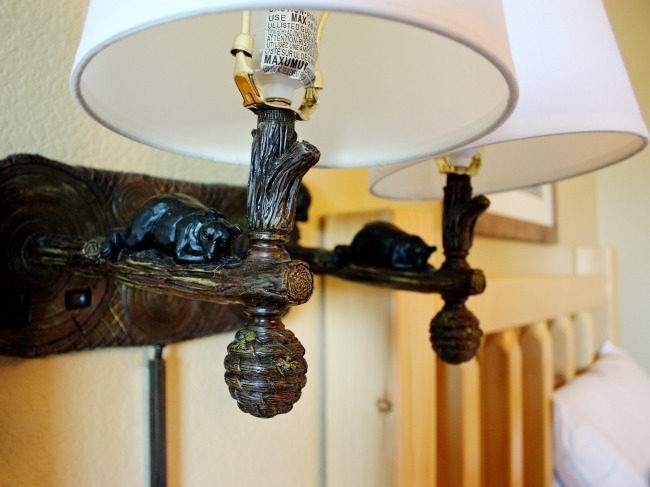 I loved all the attention to details in rooms, including the bear lamps, wolf pictures and carpeting. The room was super clean and spacious, enough room for our wolf pack. 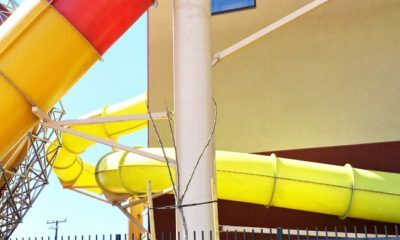 The water park alone is tons of fun for kids of all ages. At entrance little ones get measured for their wristband. The color coded wristband let’s you know which rides are appropriate based on height. After your chiclet’s get measure, make sure to grab towels (located under the clock tower). I made sure to let my little ones know that this was the spot to go in case they got lost. There are six water areas all under one roof. The two year old’s fave spot was the Cub Paw Pool. A two foot waddling pool with slides and water features for toddlers. Make sure to bring water diapers, or buy one for $2.99 at Bear Essentials. 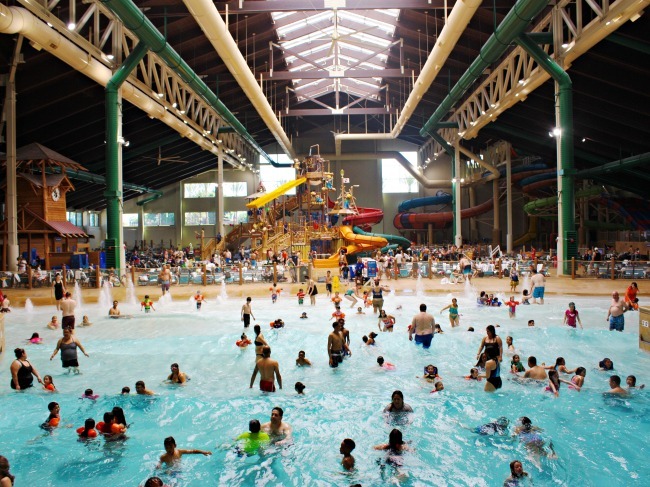 The Wave Pool is great for everyone and so much fun. 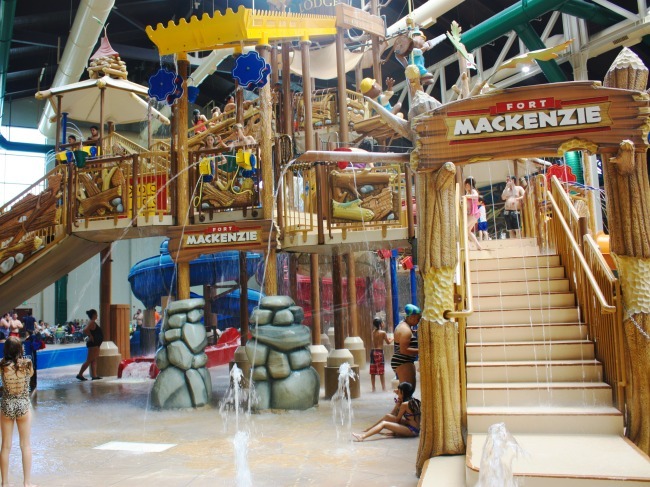 Fort Mackenzie is right in the middle offering medium slides and tons of water shooters. Plus a huge bucket that dumps water, just listen for the bell to ring. 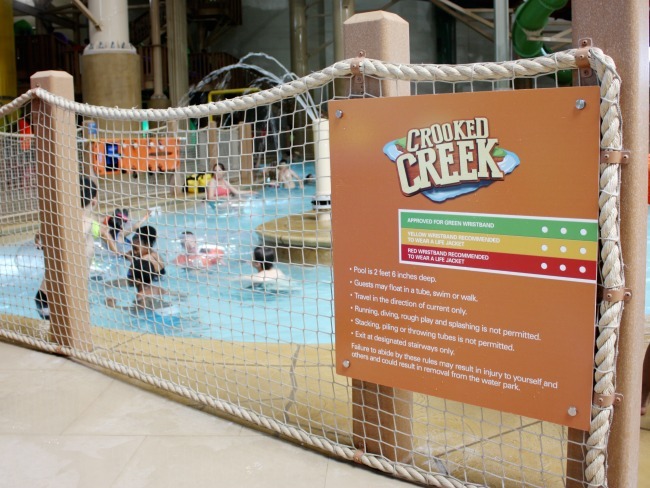 Crooked Creek is the spot to relax and let the current carry you along the winding lazy river. 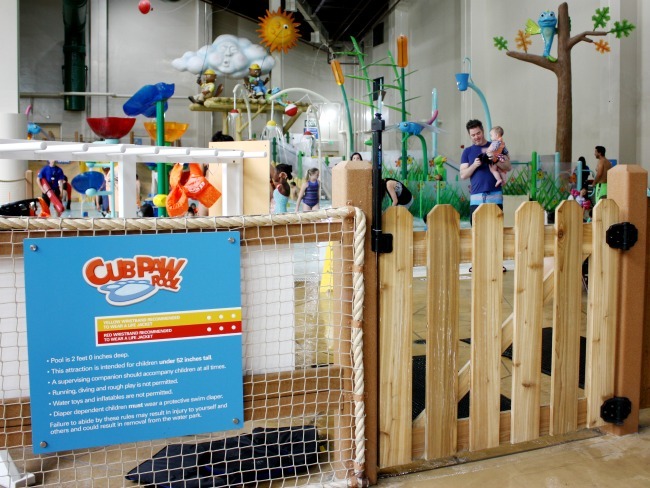 Chinook Cove is a more upbeat pool with basketball courts and balance obstacles. Then there is all the colorful winding tubes for the six water slides. Grab a tube and follow the paw prints upstairs to your slide of choice. After two full days at the water park, the kiddos still wanted more. The hours vary, but it typically closes at 9pm. Life jackets are also provided. Note that no coolers or outside food is allowed in water park. 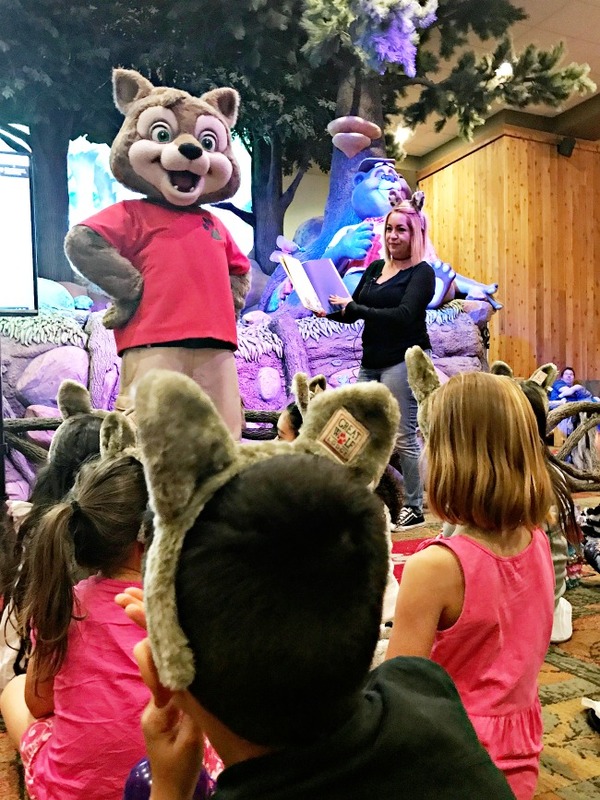 Great Wolf Lodge makes sure to keep Little Cubs entertained. 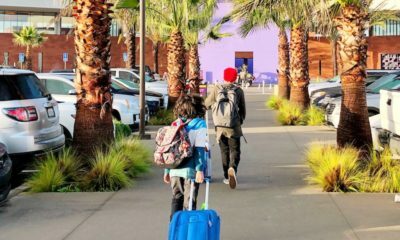 Take a break and enjoy Lunch Time Lineup, a group of free activities included with your stay, like balloon animals, face painting, crafts, and music. All organized by Great Wolf Lodge Kids cast. Through out the day come watch “The Forest Friends Show,” animals come to live and teach us about the seasons. Bring your pj’s for story time, every night at 8pm. If you are still not sleepy, stay for a family-friendly Dance Party. We had a blast grooving to top hits and making new friends. 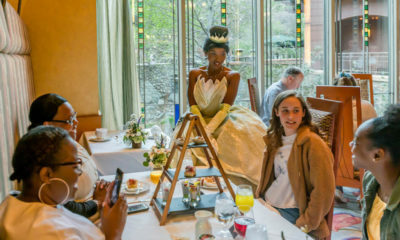 If you are still looking for more things to do, Main Street is the place to be. Here you can find Northern Lights Arcade (open 24 hours). 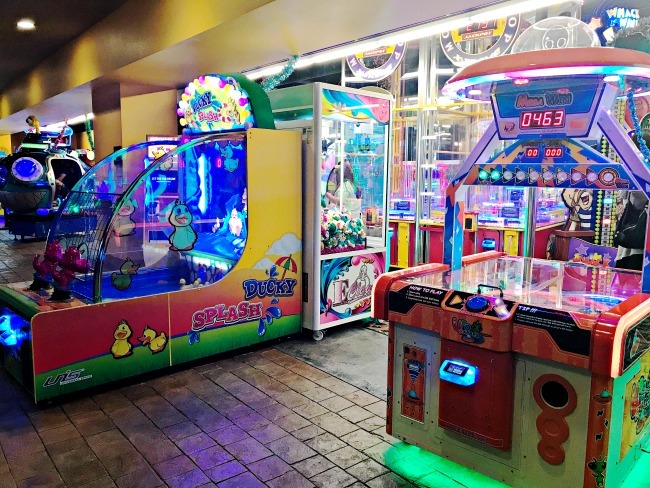 The arcade is a great place for kids of all ages. 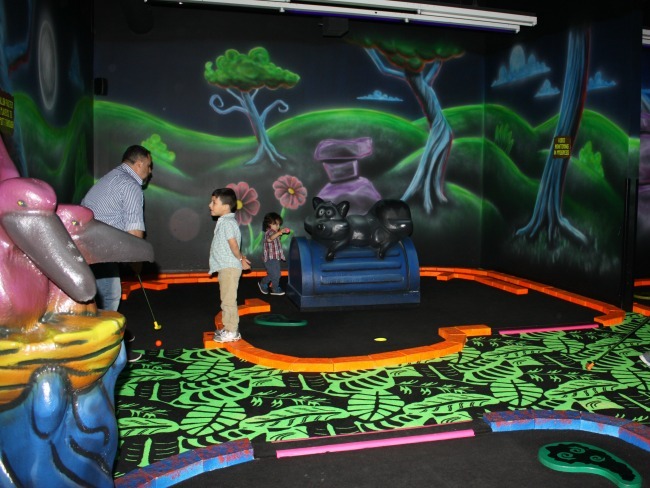 Right across from it you will find Howl at the Moon Glow Golf. I really loved this new twist to miniature golf. 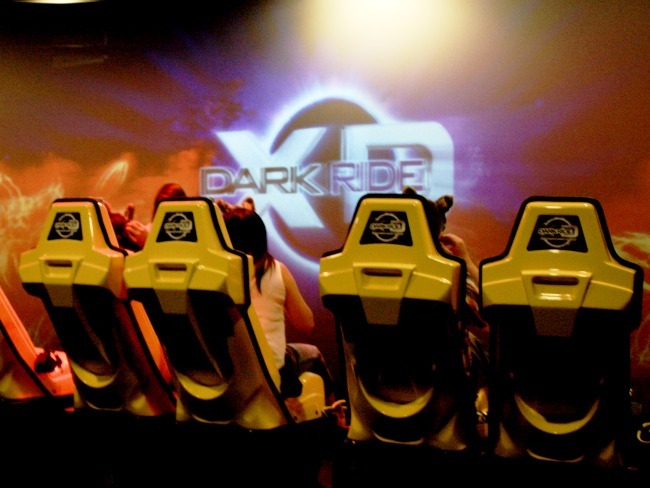 At $7 per person it was tons of fun and great bonding experience. 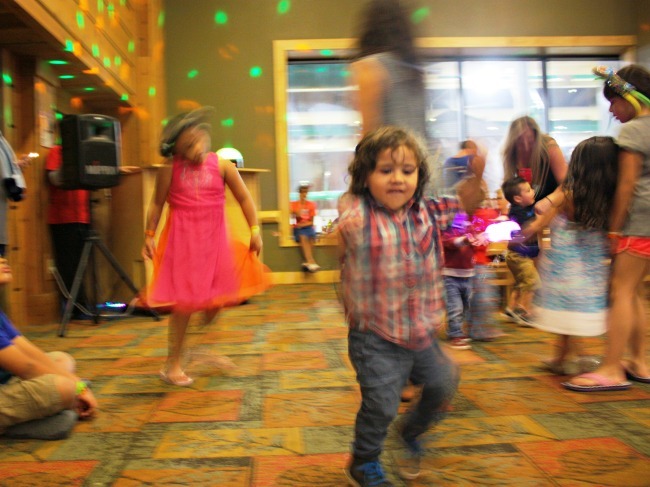 Magi Quest is all the rave at Great Wolf Lodge. 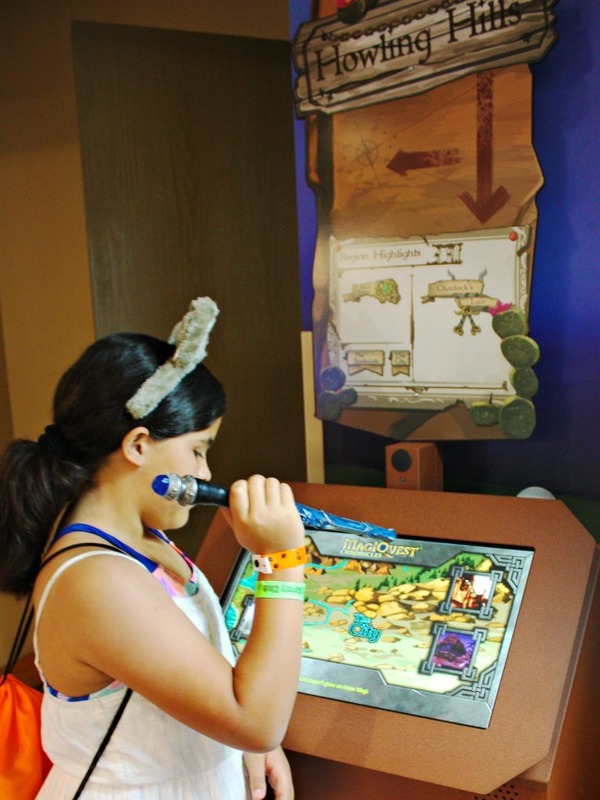 Grab a wand and travel to the wizard world, unlocking treasures and new realms. This game expands six floors and will keep kids entertained for days. 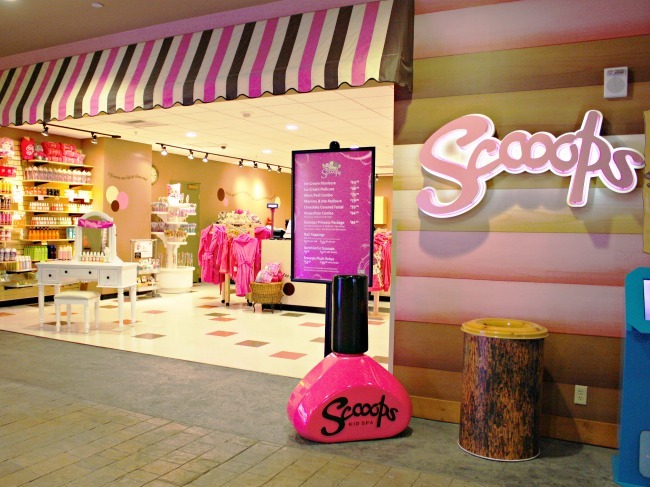 Your princesa can get pampered at Scooops, an ice-cream themed spa. 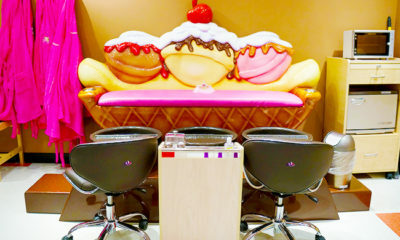 She can be crowned princess while getting her nails done on an Ice-Cream Sunday bench. 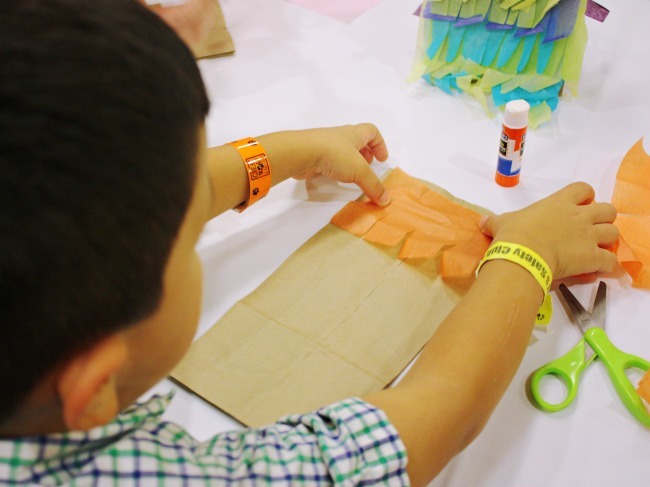 The niños loved creating their own stuffed animal at Creation Station. First they pick their favorite character (my boys all got dragons), then the the staff helps the children fill the stuffed animal. Kids also have the option of purchasing cute outfits to go with their stuffed animal. 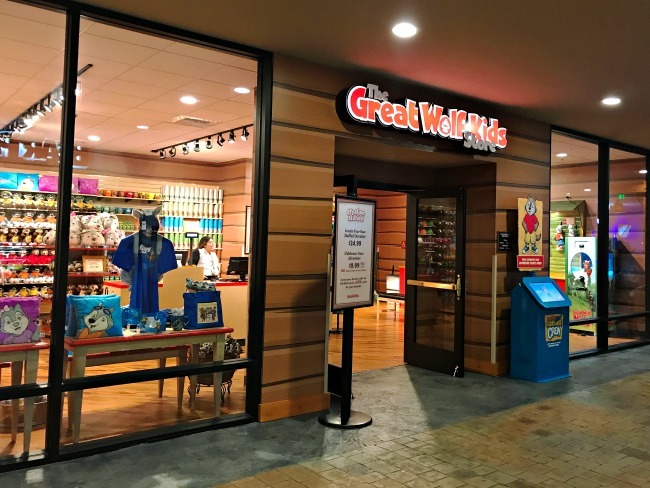 At checkout, they’ll get a Great Wolf Lodge drawstring backpack that will allow the kids to carry their new creations with them throughout the resort. 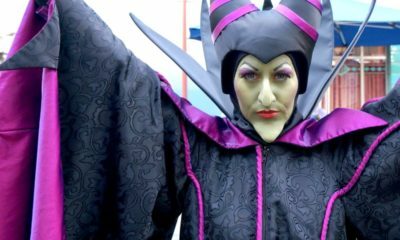 The thrill seekers will love Howly Wood XD Theater. A 3D shooting game which makes you feel like part of the game. 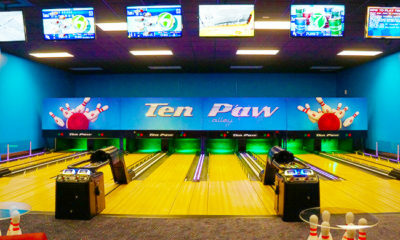 Ten Paw is a five lane bowling alley with mini size balls perfect for little hands. 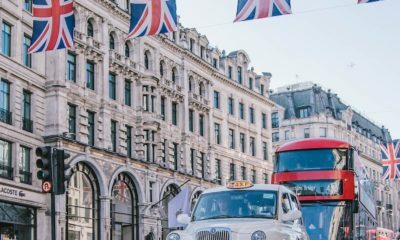 All these attractions require a fee and are great for entertaining the kids at night. 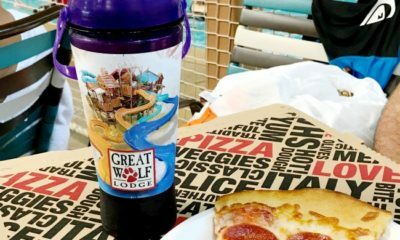 Great Wolf Lodge offers so many places to eat. If your are looking for a quick-bite or a nice sit down dinner, they have it all! I was happily surprised when the concierge told me the elevators were across from Dunkin Donuts. Oh yes!!! I was going to be needing plenty of coffee to keep up with my kids excitement. 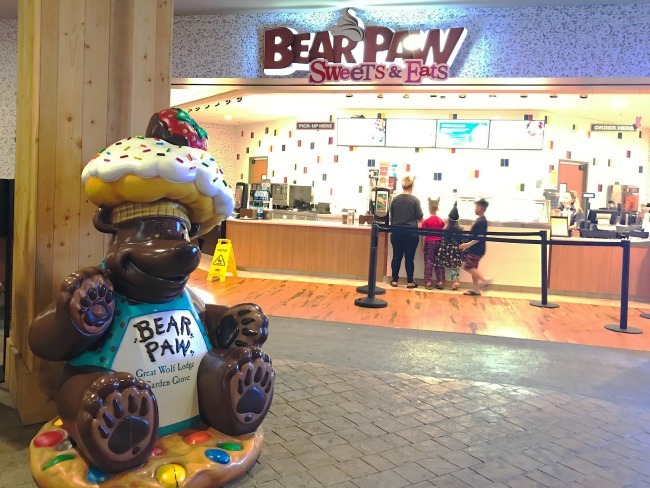 If you’re in a hurry, you can grab a quick raw juice, sandwich, or treat at Bear Paw Sweets and Eats. The more casual eateries are Buckets Incredible Eateries, which is inside water park. 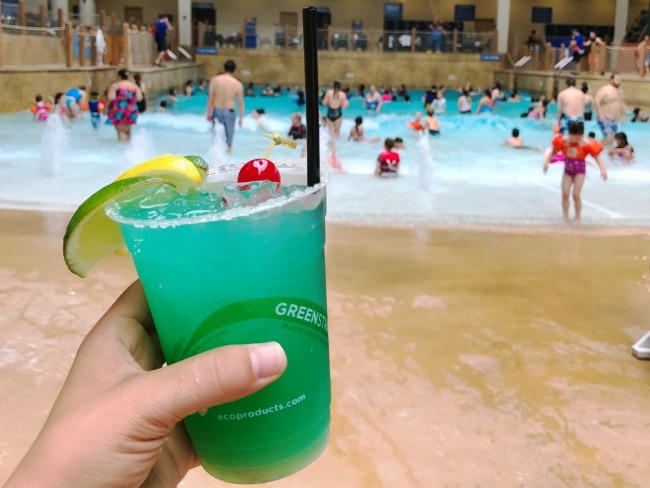 There is also a bar area inside the water park which is where I had a yummy Blue Margarita. In the outer splash pad you can find some of the best fish tacos at Grizzly Jack’s Bar and Grill. This is also where all the dads meet during big sporting events. 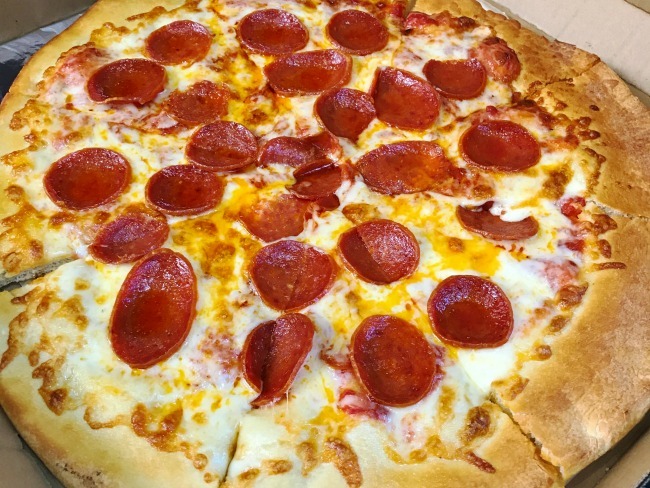 We are a pizza loving familia so Hungry as a Wolf was perfect because they offer a large pepperoni pizza for $17. Great for a budget-friendly lunch. 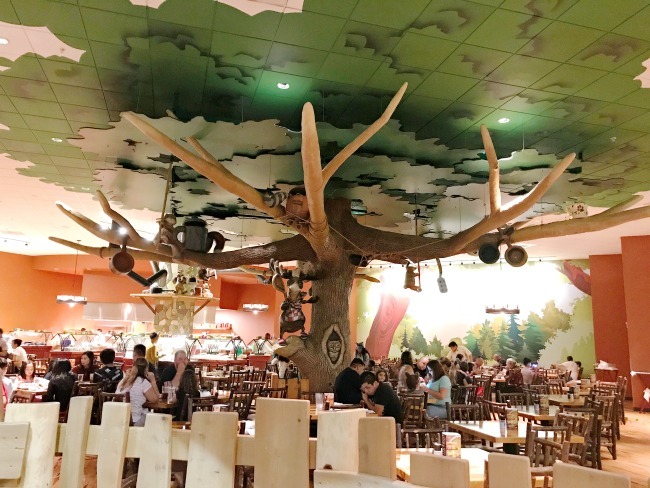 A great option for breakfast and dinner is the Loose Moose, a kid friendly buffet. Their tree creatures come to live with the Magi Quest wands, my little ones loved it! If a nicer sit down dinner is what your looking for, then Lodge Wood is the spot. Here you can find premium fire grilled steaks, fresh seafood and smoked ribs. 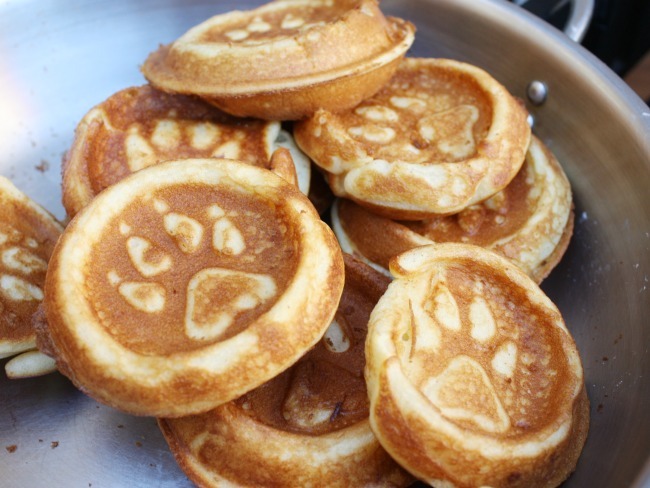 All these dining options are under the same roof making it easy to feed your pack. Quick Note: outside food is not allowed in water park area, only food purchased on premises. 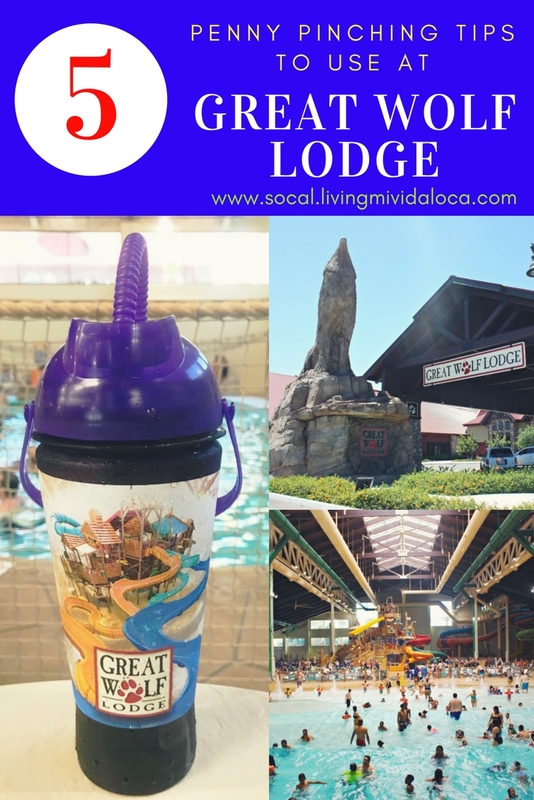 Great Wolf Lodge is an iconic resort and we are thrilled to have one in Orange County. 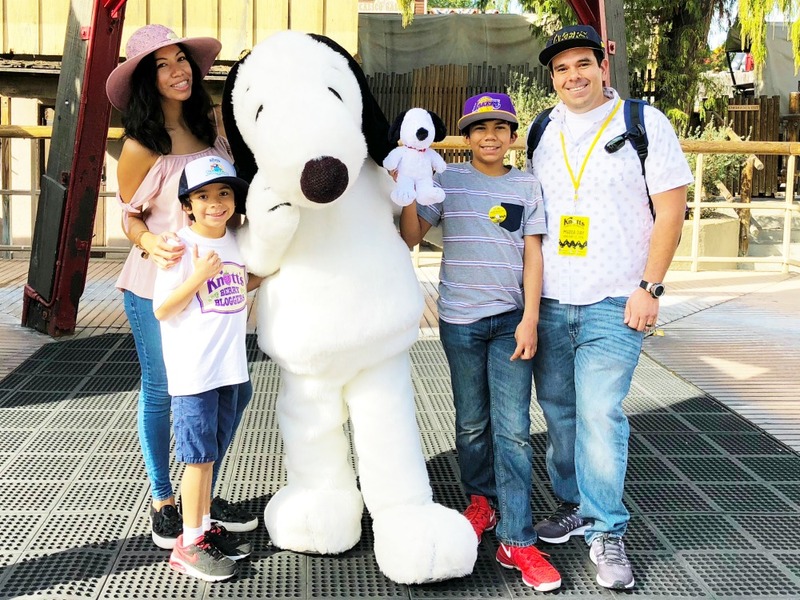 It is hands down a great staycation destination and fun for the entire family. 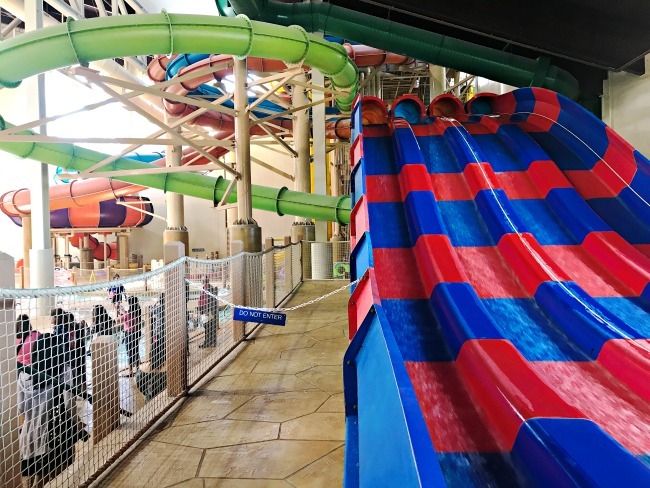 The water park alone offers hours of entertainment. 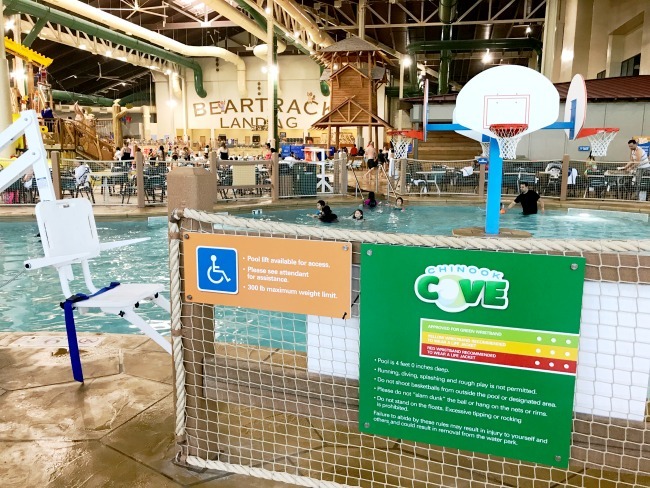 Great Wolf Lodge ups the ante by offering all day activities included in stay. 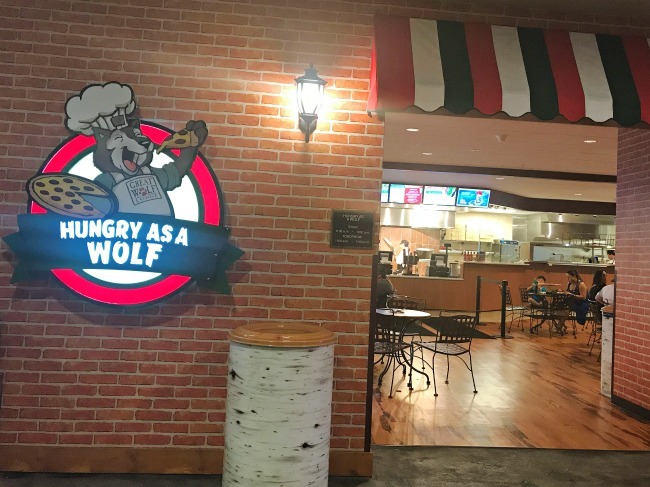 Then you have Main Street with attractions for everyone, making sure you never hear “I’m bored.” Now that my cachorritos have experienced Great Wolf Lodge it will be very hard to top it. 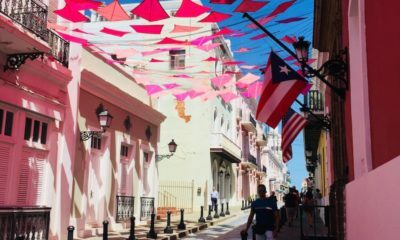 Once you have stayed here you will also get the scoop on their deals making it easier to come back. 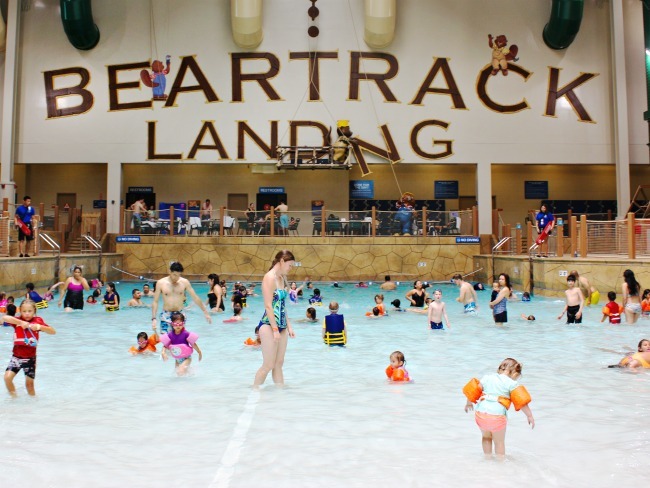 Stay tuned for my next Great Wolf Lodge post on visiting on a budget!